From top to bottom: 1) Chabot aerial: The Center is now located in the Oakland hills. 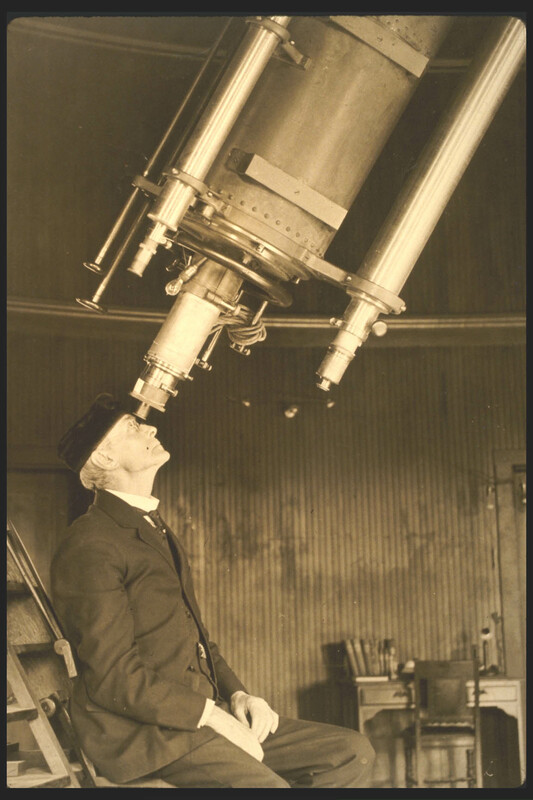 2) Observatory director Charles Burkhalter (1886 -1923) looks through the 20-inch telescope “Rachel”, which was installed in 1916 and still in use today. 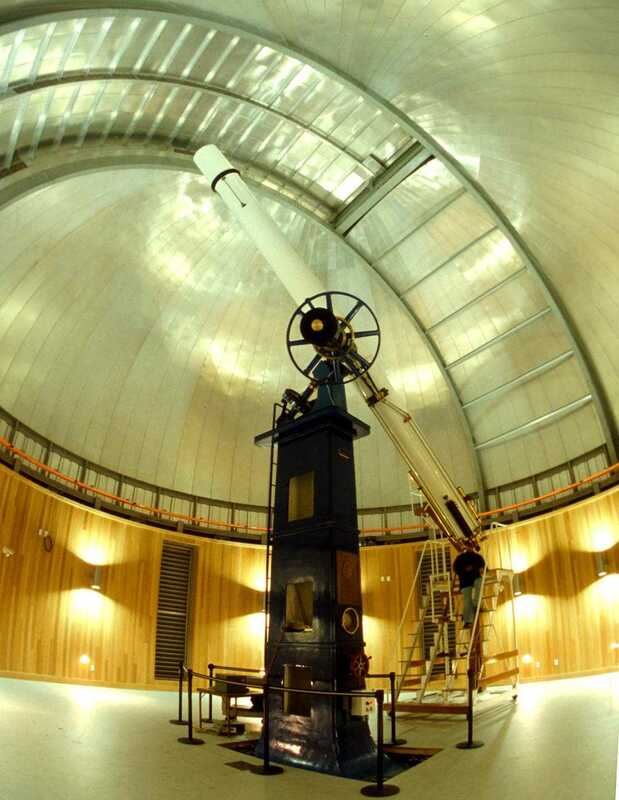 3) The original 1883 8-inch telescope, named "Leah", is still in use today. 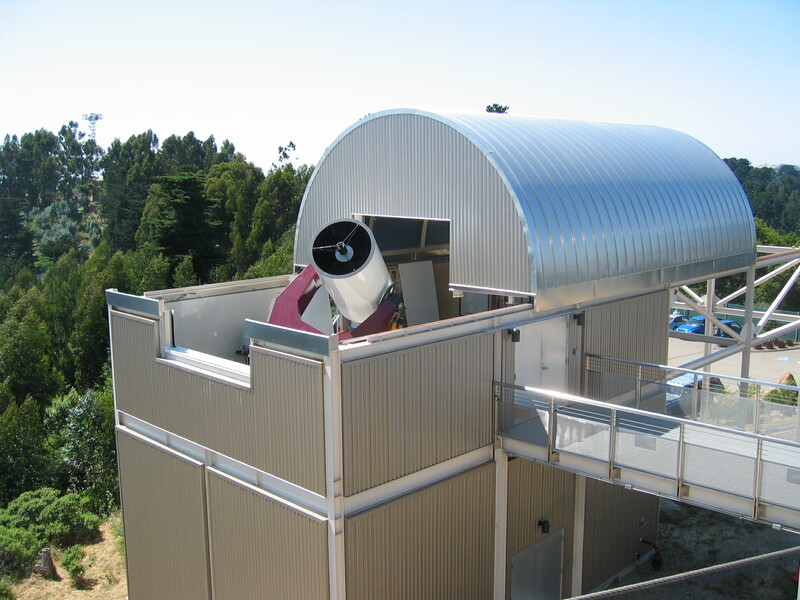 4) Chabot’s newest telescope, a 36-inch reflector, named “Nellie”, opened in June, 2003. 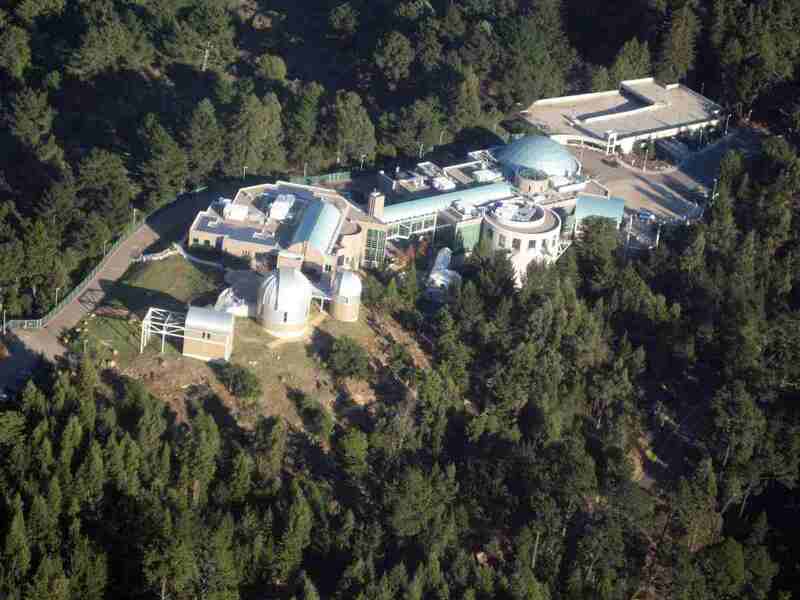 5) Three observatories house Chabot’s telescopes. t Observatory. 6) The 20-inch refractor telescope, Rachel, installed in 1915, was refurbished for its move to the new site on Skyline Blvd. 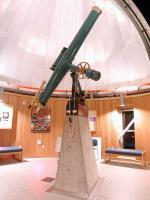 Since 1883, countless visitors have gazed through the Chabot telescopes at the wonders of the night sky. A new exhibit in the observatory domes explores the history of the Chabot Observatories and how its historic telescopes continue to be used today. Daytime visitors can virtually operate a telescope, experiment with mirrors and lenses to understand how telescopes create images of distant objects, and travel through more than a century of Chabot’s history via multimedia kiosks, historical images, and artifact displays. All photos on this page and on the following page are courtesy of Judyth Collin and the Chabot Observatory.